First Commonwealth is a fast-growing bank in Pennsylvania and Ohio with 140 offices. Much of its recent growth is driven by acquisitions; the bank has acquired 4 Ohio-based banks since 2015. Bank acquisitions come with regulatory requirements, and given the nature of converting customer account information, speed to market is essential. And much of the communications take place with printed materials. 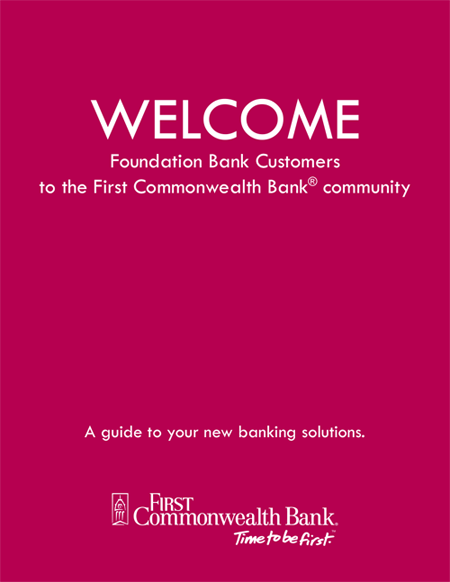 First Commonwealth began work on its 2018 Ohio acquisition of Foundation Bank. A key part of the messaging was a 5-piece kit that needed to arrive to acquired customers and bank branches on a specific date.